Journalists at a 2-day entrepreneurial journalism training workshop in Kaduna, have been tasked to intensify reports on entrepreneurial development for betterment of the country’s economy. 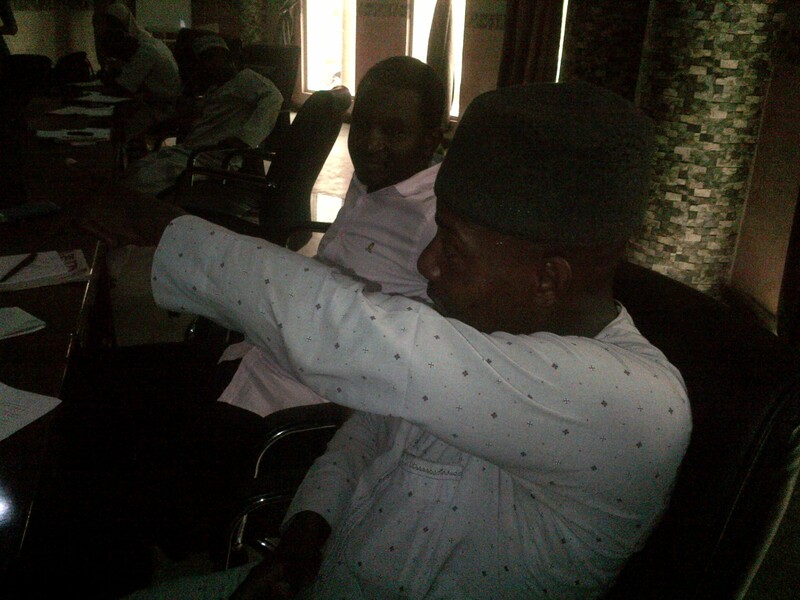 Head, Mass Communication Department, Hassan Usman Katsina Polytechnic, Katsina, Dr. Muhammad Bashir Usman, made the call while speaking on the topic, ‘Media role in economic development’ during the 2-day entrepreneurial journalism training workshop, organised by Voice of America (VoA). He said that was so important because Nigeria cannot survive without entrepreneurial, hence the need for media to report more of business activities which will showcase a lot of potentials in the country instead of reporting government functions more often. According to him, the media, as opinion shaper, should take the lead in creating in minds of Nigerians to embrace entrepreneurial, otherwise, the country may remain where it is for a long time. His words, “Media are powerful means of information, re-orientation and mobilization. Let us use the media to boost entrepreneurship for better national development. “We cannot survive without entrepreneurial as Nigeria. This is where media need to come in. It is a known fact that the media do change perception of happenings around the globe. So, media is a ready-made tool to improve the economy of our country through persistent reports on businesses. This will change the minds of a lot of young Nigerians to see how they can come and create wealth for themselves. “Entrepreneurial remains the best option for all Nigerians whether as a civil servant or otherwise. The idea of civil service is slavery. “You will spend 35 years, which is best of your live serving and retired. When you retire without business, no house. You have children and other dependents. Gratuity will not be paid until after a year or two. So high blood pressure will set in follow by other ailment. No money to settle medical bills. Then you die and put your family in trouble. “But if you have business, you will have little worry in term of what to eat or spend. So, let us embrace entrepreneurial activities to secure our future and that of our children. That is the way to go and media must take the lead,” he added. He however appealed to government at all levels to provide enabling environment for entrepreneurial development to save the nation from its over dependent on foreign assistance. “But then, let the government provide conducive business environment. There is no point paying double tax. Legislation should favour business owners. We should move from been a consuming society to producing one. Let produce what we consume locally. It will solve the problem of unemployment, poverty and crime,” he said. Earlier, a Lecturer with Kaduna State University (KASU), Dr. Helen Afang Andow, while speaking on the topic, ‘Youth empowerment in Africa: Nigeria perspective’ said, despite the abundance natural and human resources the continent, Africa, especially Nigeria is blessed with, there has not been serious efforts to harness the resources optimally which is why the country is falling deeper into poverty. She said the only way to reverse the ugly trend is to become more enterprising or entrepreneurial while the media project that. Dr. Helen, agreed that governments, regional bodies, development partners, NGOs, Corporate bodies, World Bank, UN among others, are making spirited efforts to invest in the youth of Africa evident in number of entrepreneurship and youth empowerment programmes across the country, she argued that a lot still has to be done. On the way forward, she opined that all youth empowerment programmes should be synergized. The Coordinator of the training, Sani Malumfashi, told participants that VoA is investing in training and retraining media practitioners due to their pivotal roles in the society especially, in evolving global economy. Sani Malumfashi, who was impressed by the turn out, further said the training was part of VoA’s social responsibility in Nigeria. He then urged participants, who were drawn from various states in Northern Nigerian to make judicious use of additional knowledge they have acquired to better their lot and that of the country at large.